If you are a person who really enjoys working independently and love the idea of being your own boss, self-employment might be the perfect route for you. More and more people are opting to create their own business, with statistics showing that self-employment in the UK is at a 40-year high. 4.6 million people worked for themselves as their main job in 2014 – but is becoming self-employed the right move for you? To be able start up a business, it is not only important to have a clear vision of what you’re doing to do, but you also need strong motivation. The rewards can truly be great, but its best to weigh the risks involved as well. This is one of the greatest benefits of self-employment – no matter whether you are a night owl or a morning bird, you can work during the hours that you know work best for you, when you are most productive. You could even be super healthy, and throw in a quick 30min run or jog in your day too, to boost your energy and endorphins! Having creative freedom is super beneficial, as you can test out a wide range of new ideas that you might have, without having to get an okay from anyone. This increased freedom allows you to do what you think would work best. Sometimes, the feeling of being able to thoroughly covet the rewards of your own personal hard work beats out any other feeling. And this ‘the more you put in, the more you get out’ moment of happiness happens a lot if you are self-employed. All the little pros add up – being able to have creative freedom as well as avoiding the stress of daily commute or the drama of office politics definitely create a much happier work environment for you! This is probably the biggest obstacle that those who are self-employed have to face. Especially in the beginning, with the entire success of the business riding on your shoulders and most likely the shoulders of your bank account too. You may have to go a few months without any earnings as you build up your business. Although it’s nice to be able to fit work around your family and social life, being self-employed can also mean never switching off your work life. Think about the well-oiled machine that is a business, and all the parts required to ensure that it runs smoothly – all those tasks are on you, so you need to be available pretty much 24/7 to safeguard your business! Running your own company means doing all the parts that you might enjoy normally enjoy, but also dealing with the responsibilities of others tasks you might dislike, like accounting and filing your own taxes. There are no paid holidays, sick days, or pension. If you are not feeling great one day, unfortunately there is no one to fill in, and the same thing happens for vacation time – you are solely responsible for earning your living. Any insurance or retirement coverage must also be paid for yourself, all of this which can be very taxing. Only you know what’s best for you. Becoming self-employed and starting your own business can be super stressful at first, but can prove quite lucrative in the end. 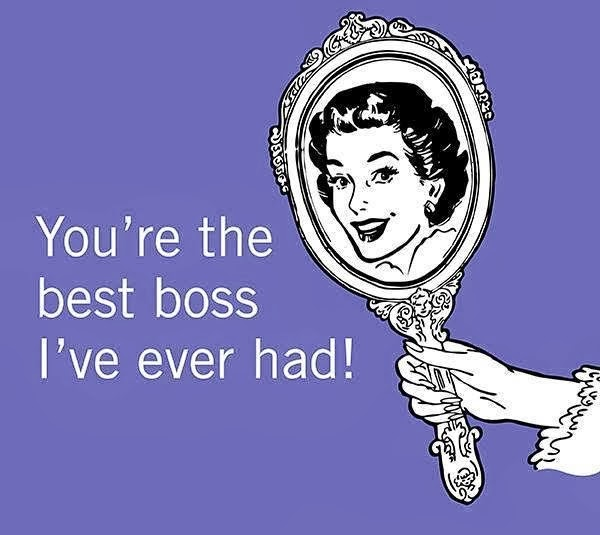 But if you know that you have the gumption and confidence to see it through, being your own boss has plenty of benefits which you will thoroughly enjoy. This entry was posted in General Posts and tagged being your own boss, entrepreneur, job satisfaction, pros and cons, self-employed, self-employment, start-ups. Bookmark the permalink.